On a Linux/Unix system you can mitigate the effects of an attack by blocking the communication with the attacking ip addresses. You can either do this by creating IPTables Rules or via a null route also known as a black-hole route. 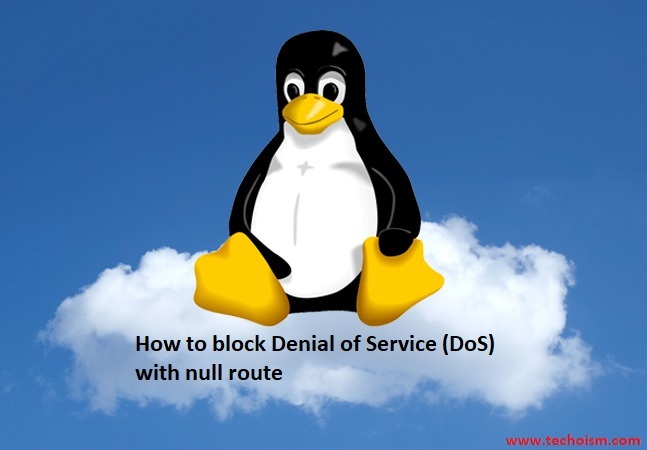 This article will help you to block Denial of Service (DoS) with null route on server. First verify the load on server, If the load on server looks like unexpected then execute mention command to verify the connections. It will help you understand that load on server is normal or is there any DoS attach. We are assuming that below 2 IP are abnormal. We are believing that above 2 IPs are root cause of high load on server. Let drop or ignore the IPs using null route to verify that is these IPs are the cause of high load. There is an alternative way also to null route the IPs. Now after rejecting the IPs using null route wait for the while and verify the load of server. Just verify that attackers are not using any another IP DoS. You can also remove the existing null route IP’s if require.